Bartending stars Ryan Chetiyawardana and Robin Honhold have embarked on a project to create “the world’s most truthful” cocktail, which will use blockchain technology to offer full traceability of each ingredient used. The Blocktail will “fully trace and authenticate the origins of a drinking experience”. 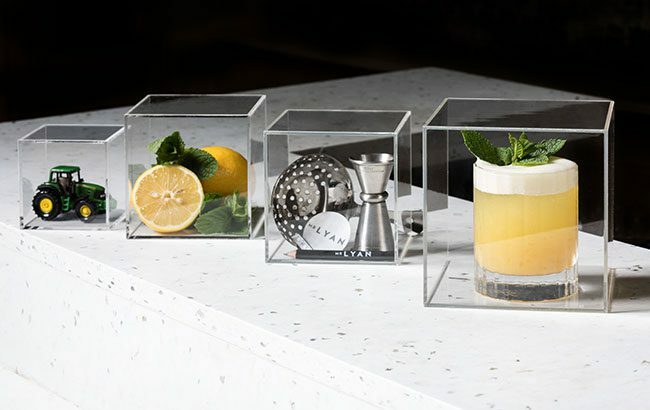 As outlined in an open letter, the pair want to see greater transparency across the entire drinks supply chain, which they say ends with the final cocktail. They called on the industry to “do more” in sustainability by demanding “accountability” from their partners. “There’s no point having an amazing drink if the farmer at the start is being exploited,” Chetiyawardana (aka Mr Lyan) and Honhold said in the letter, first published by Imbibe. As such, Chetiyawardana and Honhold will seek to utilise digital technology to “fully trace and authenticate the origins of a drinking experience”. The letter continued: “The technology lays bare the whole ‘chain’ of sequential events that links the start (usually a grower or producer), the middle (importers, distributors) and end (the venue or consumer) – but crucially is incorruptible, as each segment of information is stored by different servers. Chetiyawardana and Honhold will work with numerous partners to create the Blocktail drink – including UCL’s Centre for Blockchain Technologies; OweMe, a blockchain-based payment platform; and DH Ready, a creative futures consultancy. The bartenders are already in talks with global and independent producers to verify every part of the supply chain for the project.